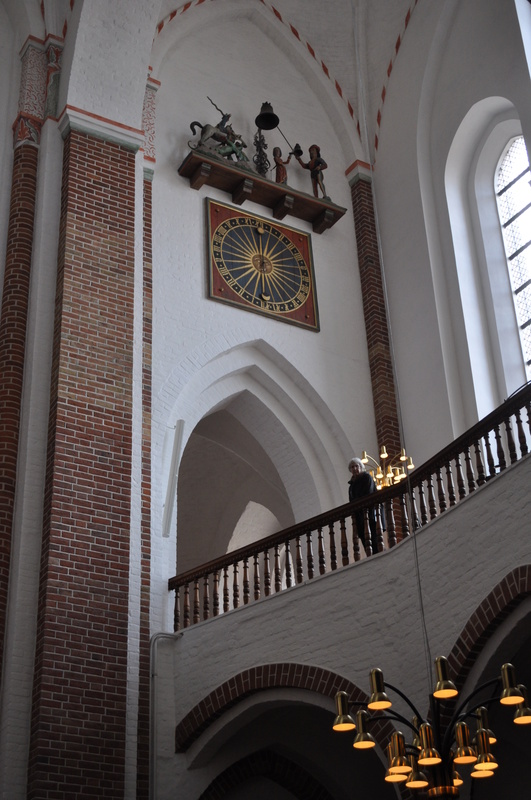 One of our more delightful days in Denmark was spent traveling by train to the city of Roskilde. 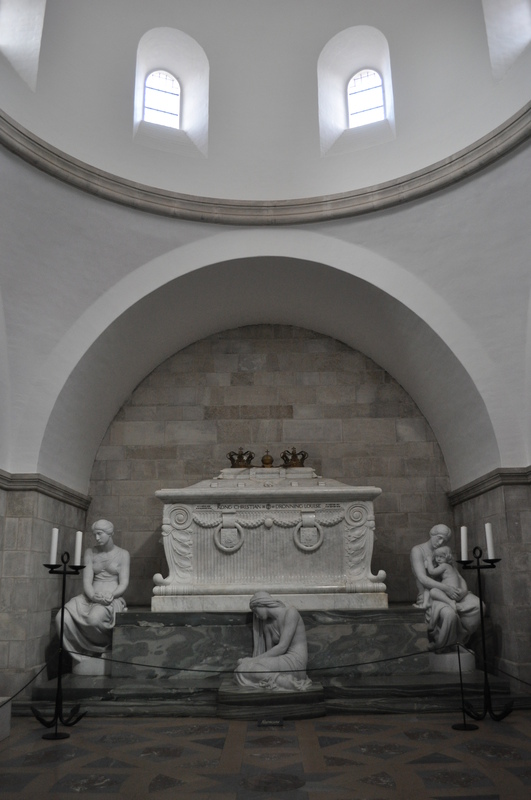 We had told Andrew we wanted to see a bit of the countryside outside of Copenhagen during our visit, and he suggested we take a short 30-minute train ride and see this World Heritage Site. It was a great suggestion. We exited the train station and were immediately drawn into the historic core of this Viking-era city, which features a wonderful plaza and historic cemetery just steps away from the commuter train. We headed down the commercial center of the city towards the cathedral. In the U.S., this would be considered a classic Main Street community – one in which the Main Street was doing very well. Andrew and Claire headed off to explore stores, as Candice and I took a more leisurely stroll. After a walk of several blocks, we came to the Cathedral square. (Blog interruption: I’m proud to say that once we exited the taxi at Dulles Airport to begin our trip, we never set foot in another car until we came home. We traveled by subway, trains, bicycle, and foot throughout the 10 days. More on this in a later post.) 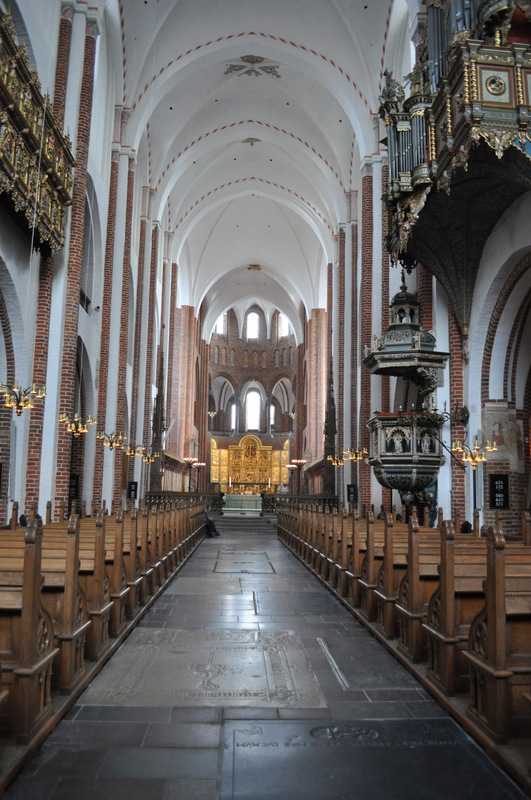 Roskilde Cathedral was included on the UNESCO World Heritage List because it was Scandinavia’s first Gothic cathedral built of brick. The cathedral, and the surrounding square, are a wonderful collection of architecture from the medieval period through the 1800s. 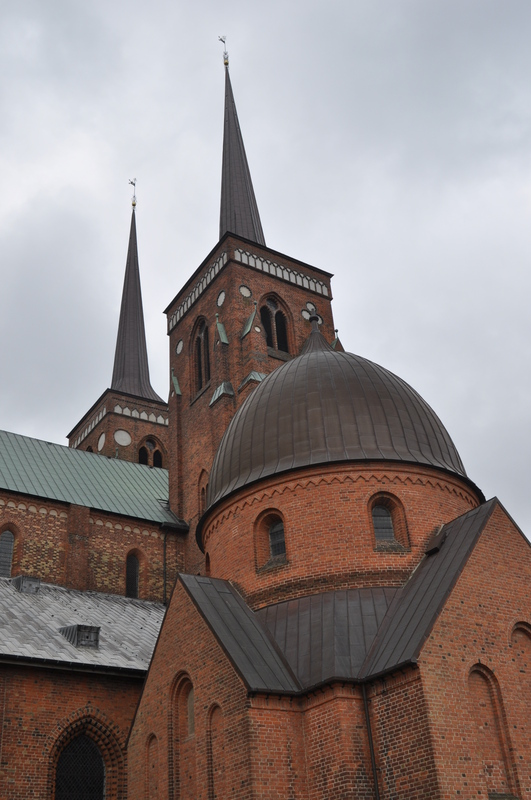 The brick construction makes Roskilde such a different experience from the typical stone Gothic cathedral. In the course of our tour, we ran into a very knowledgeable guide who pointed out the areas where the brick was painted and frescoes added (some were being restored). 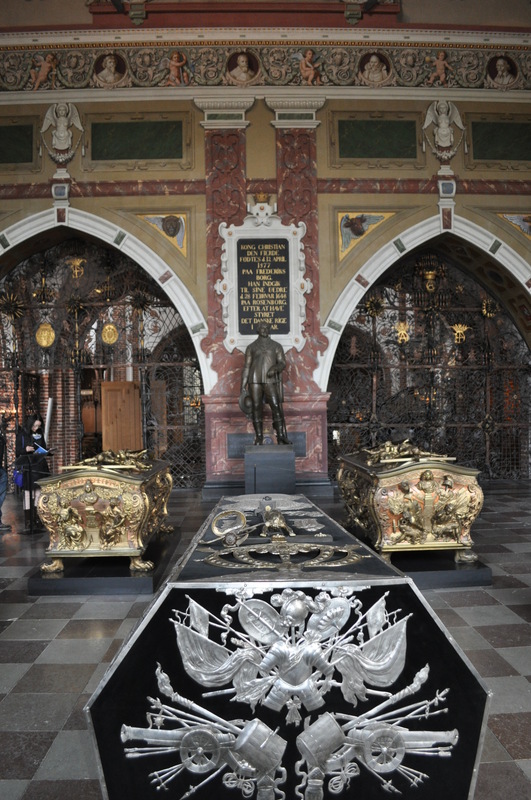 The cathedral has also served as the burial-place for Danish royalty. 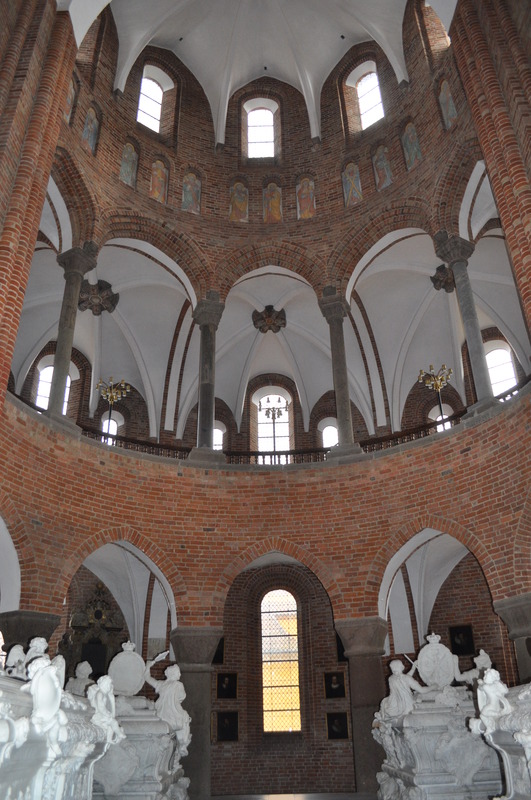 These various chapels – added on to the cathedral over time – were very much of their periods and gave the building a layered texture. 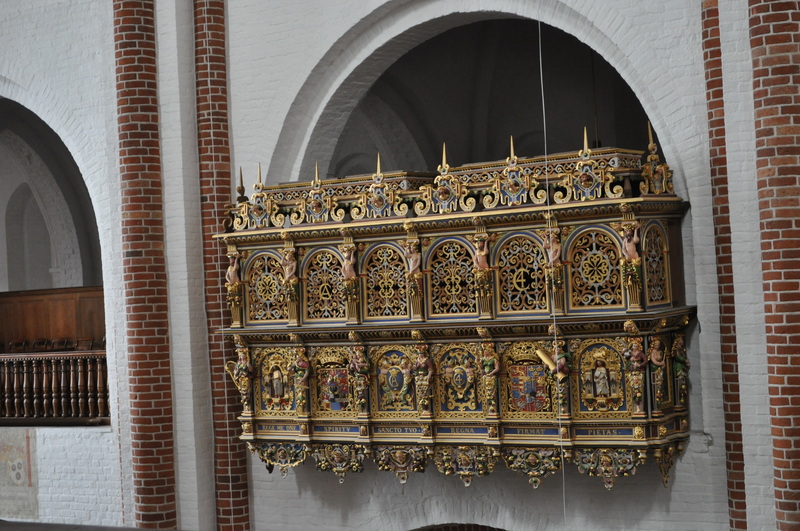 There were so many wonderful architectural details, that a few pictures cannot do justice to all that we saw. 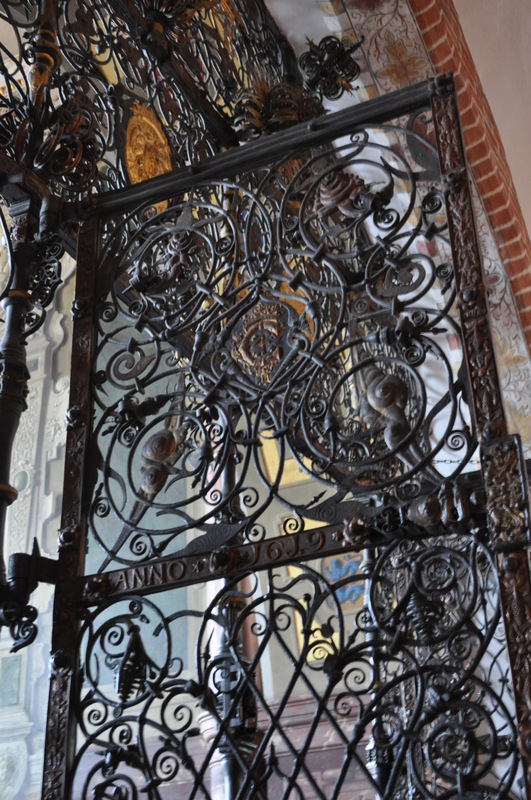 Ironwork, plaster work, painting, brickwork, woodwork, and so many other features captured our eyes throughout our visit. 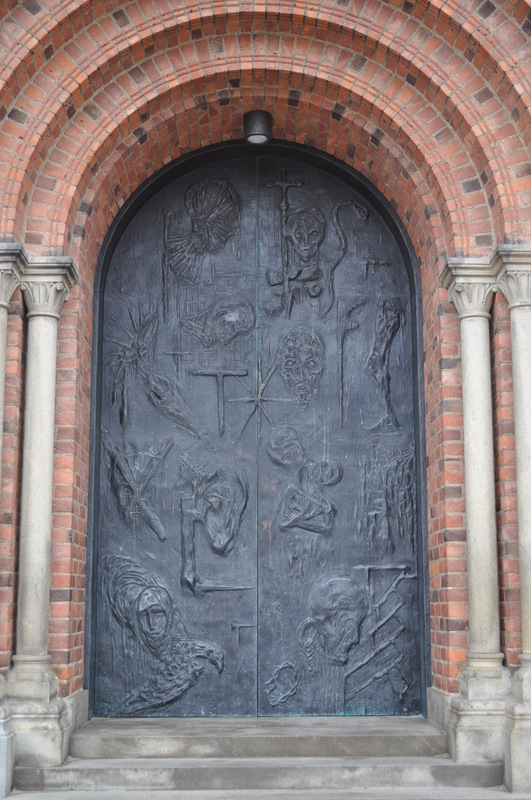 Historic places that date from the 1100s give one such a sense of the continuum in which we exist. 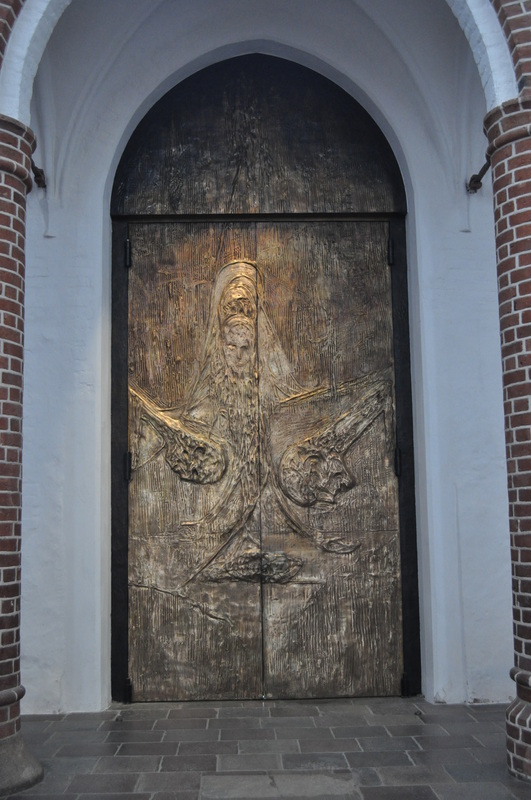 Roskilde is such a wonderful example of a place that is of its time(s), yet transcends time. It was such a privilege to spend a couple of hours in this holy and timeless place. This cathedral reminds me of Westminster Abbey. So much history in those walls.